One of the tenants of our core values is to continually invest in ways to keep our community vibrant and thriving. One of the ways we keep our community vibrant is by keeping our physical space vibrant, clean and up to date. Over the last few months we’ve been making some updates to keep the studio fresh. Between Christmas and New Year’s we had a paint crew work after hours to upgrade the paint on nearly every surface in the studio. It’s a shinier, more durable finish that’s been a big improvement and allowed us to wipe away finger prints much more easily. 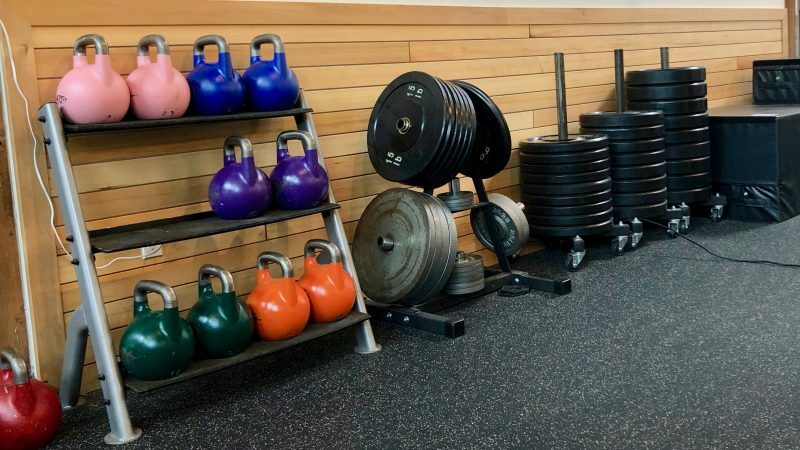 We love providing a bright and clean workout space. 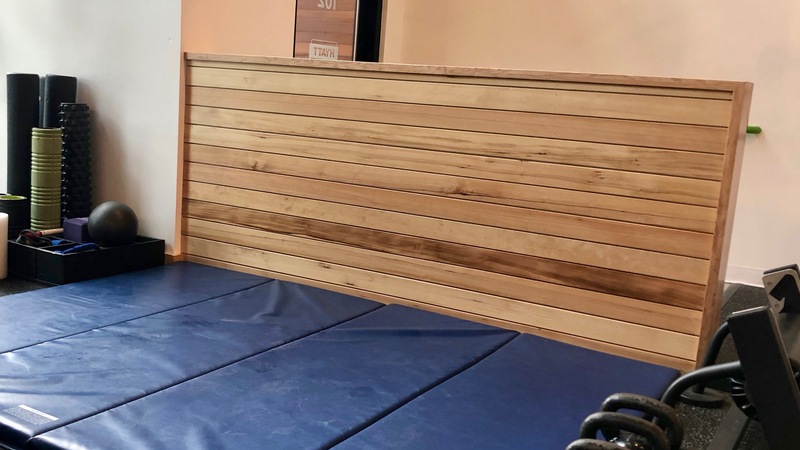 Last weekend the custom wood paneling was finished to protect the walls from weights while adding warmth and improved aesthetic detail on the training floor. We love the new look and hope you do too! Owen Gabbert was our general contractor on the original buildout of the space and continues to lend his team and talent to keeping Hyatt Training up to snuff. We are grateful to have a team of experts on our side. To make more room for training, we moved the trainer office downstairs off the lobby. This allowed us to convert the upstairs mezzanine space for training. 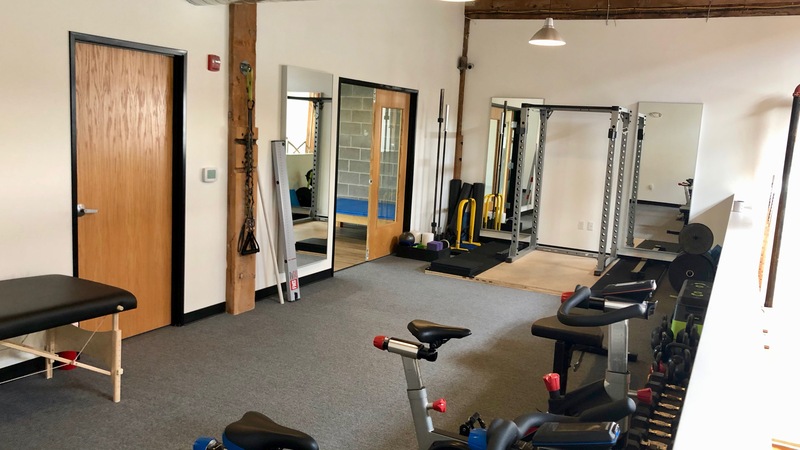 Upstairs you’ll now find a squat rack, bench, full run of dumbbells and kettlebells. We’ll continue to add equipment to this space. Just in time for the NCAA Tournament, Tour de France, World Cup and the like, we have a new projector. 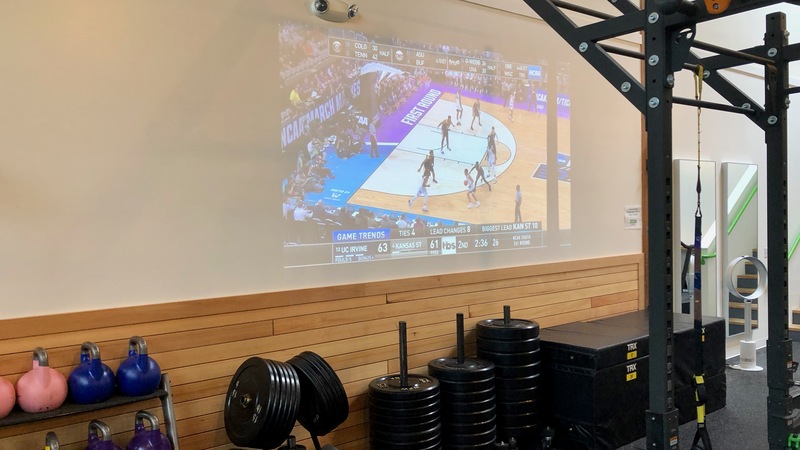 While it’s fun to use for iconic sporting events, we also use it for our monthly trainer mastermind sessions and speaker series events. To us, no detail is too small to consider carefully. We hope you’re enjoying the recent upgrades!